A long time ago, in a country far away, three friends were in a hitchhiking trip, and their luck for free transportation seemingly had run out. It also looked like rain was coming. Away from villages and houses by a dirt road, like in a dream they heard the whistle of a train. They ran towards the sound for a few hundred yards and sighted a freight train, slowly rolling through the vast, hilly countryside. The group had never tried this mode of free transportation before, but the train seemed to be going in the right direction, which was anywhere but there, and the youths were well positioned to board it. The wagons were totally bare, with no roofs or even sidewalls. They got on board easily and made it a temporary home. After a while they realized that they were not alone. Another “passenger” was riding the train, and, on seeing the group, began to move towards them, jumping from car to car. The man must have been about thirty years old, good looking, easy going, the physical type that in Argentina is called “a man from the interior,” meaning half Indian, half white –although it should be noted that anyone that does not live in a tepee any longer is officially white in Argentina. The odd thing about this man was that he was almost naked. All he was wearing was an indefinable loincloth of an indefinable color. He had no luggage or anything else with him, but there was a knife without a sheath tucked in his cloth at the waist. 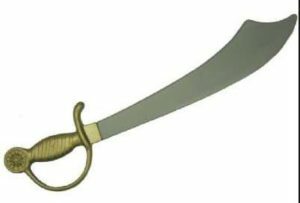 The knife, rather than making him threatening, added to his strangeness; it looked like a short pirate’s knife, almost like a toy. The group struck up conversation with the stranger and shared food with him. After a few dark clouds dissipated, the weather cleared. The train rode slowly, the afternoon light was splendid, the air was soft, the fields were deserted. In the United States one could work for years with a colleague and never really get to know them. Not in Latin America. After a bit of small talk the man sighed and told his story. He had to leave in a hurry, he said. An affair with a woman suddenly interrupted, a precipitous flight. He could not take anything with him: clothes, identification papers, money. He was trying to put distance between himself and something he feared. The friends shared the remainder of the afternoon on the wagon with the stranger. At some point, they abandoned the train; what they did next, where they spent the night, whether they reached any town, could not be documented for this story. The rest of that day faded in their memory. But after leaving the train one of them noticed that his radio was gone. Did he lose it earlier? Did the man steal it? In the minimalist world that they shared on that train the man would have had to be a consummate pickpocket to accomplish such a feat. Even if he did, they were not angry. Many other things happened on that trip, and the man on the train was quickly forgotten. The youths did not think much about the encounter for a long time. But, slowly, its memory came back. Time and again. Nothing really happened, yet that afternoon acquired an aura of eternity winning over the erosion of time, something archetypal, like the coalescence of a thousand movie scenes. When they reminisced about that trip, in their mind’s eye, the man is always riding on a bare train, primal, innocent, forever and ever, hanging on to a knife, and, perhaps, accompanied by a radio.